Home » Community Giving Programs » Do you think the Forklift is a valuable resource? Do you think the Forklift is a valuable resource? Construction waste is a BIG problem! Americans love to fix up their homes, often changing out staples like cabinets, appliances, and bathroom fixtures. To keep up with demand, suppliers clear out overstock, throwing away brand-new items. 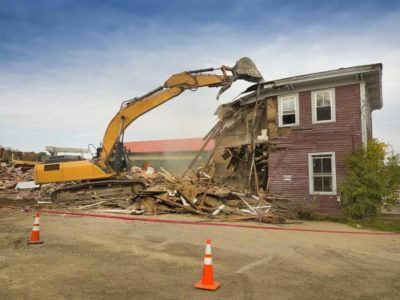 To make way for new construction, developers demolish old buildings, destroying old-growth lumber and antique fixtures. As a result, building materials make up almost 40% of our nation’s solid waste stream! Once we toss the old, we buy brand-new materials. This means we must harvest, drill, mine, and transport natural resources across continents, causing serious environmental damage. Manufacturing and transporting the items to stores uses even more fossil fuel and releases more carbon into the atmosphere. We are breaking this destructive cycle by finding new lives for old materials. Community Forklift saves tons of material from the landfill and prevents the emissions of 360 metric tons of carbon dioxide yearly – but we’re also helping people directly! We’ve created 40 green jobs, drawn green businesses to the area, helped local tradespeople get more work, offered free sustainability education to the public, and awarded over $250,000 in free materials to local nonprofits & neighbors in need. Building-material reuse is a solution that just makes sense: Everyone benefits from less waste, a stronger economy, and a cleaner environment! Please help us continue to thrive by making a donation. Your support means we can keep good stuff from being thrown away; offer good green jobs right here in Prince George’s County; purchase safety equipment to protect our staff; and provide materials free-of-cost to community groups, seniors, vets, and families who need help. Every financial gift, large or small, helps us fulfill our mission to lift up communities through reuse. Community Forklift is a 501(c)3 non-profit corporation. Donations are tax-deductible to the maximum extent allowed by law. 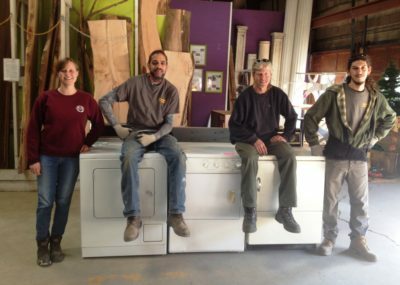 Forklift staffers show off some appliances that are going to neighbors in need through our Home Essentials program. Or, help us in other ways: consider telling a friend or contractor about us (including our free donation pick-up service), or buy a gift card today. Forklift gift cards make great presents for dad for Father’s Day, for newlyweds fixing up their house, and recent grads who need to furnish a new apartment! 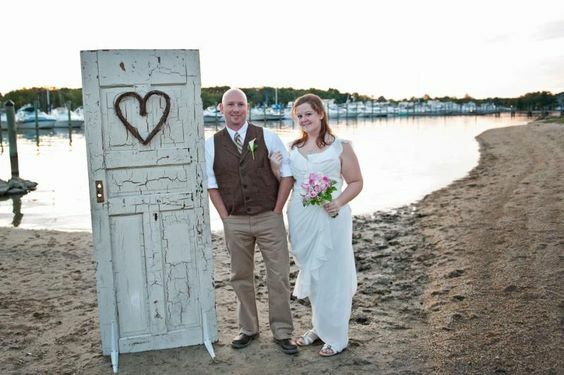 Terri & Jim Icarino had a beautiful wedding in Middle River, and used lots of reclaimed materials from the ‘Lift!